Buying a house is one of life’s biggest expenses, whether it’s for living/investment. So choosing the right property with care makes the process of buying apartment/villa more complex. 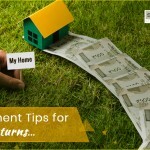 Here are some ideas to keep in mind that helps in real-estate investment. The real-estate decision is driven by the price factor. 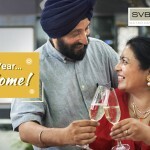 It’s normally common, that villas are costlier than an apartment and even more expensive if falls within the high-end luxury category. 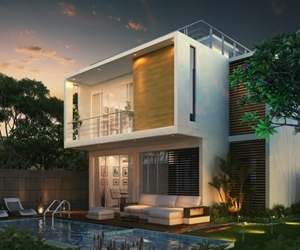 Villas also have high maintenance fees compared with the apartment. For independent home/villa, it’s pretty steep as the garden and common area costs get added. Apartments/flats sale is more practical in this aspect since everyday management is taken care by paying a quarterly/maintenance fees. Another key factor is the location. It’s important to consider the proximity of the property from daily life’s important places like offices, schools, hospitals, and city center. Villa complexes tend to be located at the outskirts of the city, while apartments, offers a wider choice in terms of location. They can be within the city limits or just outside that leaves you to choose between the best offer of city and suburban life. The location also affects the family you bring. For example, if you are a sole-person move out for relocation for work, you will be looking for a studio-apartment, since most of the time you will stay out. Nowadays most of the real-estate buyers are nuclear families and a flat in an apartment is a good bet for them. 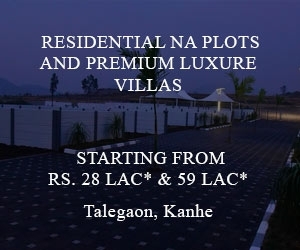 However, many home buyers prefer the privacy is more in Villa projects in Pune than the apartments. Whereas, larger families prefer independent homes/villas. So once you narrowed down your search in the city and locality to purchase a real-estate, you should consider the demographics of the area before settling down in a flat in an apartment or an independent home like a villa. Apart from gauging the actual living space you require, it’s also important to ascertain the family unit types settled in the area for ensuring that you can rent/sell your property easily. In the housing market, the independent houses/villas can be modified to reflect the changing tastes and styles more easily. But this degree of freedom of easy expansion/reconstruction often lacks with flats in an apartment. 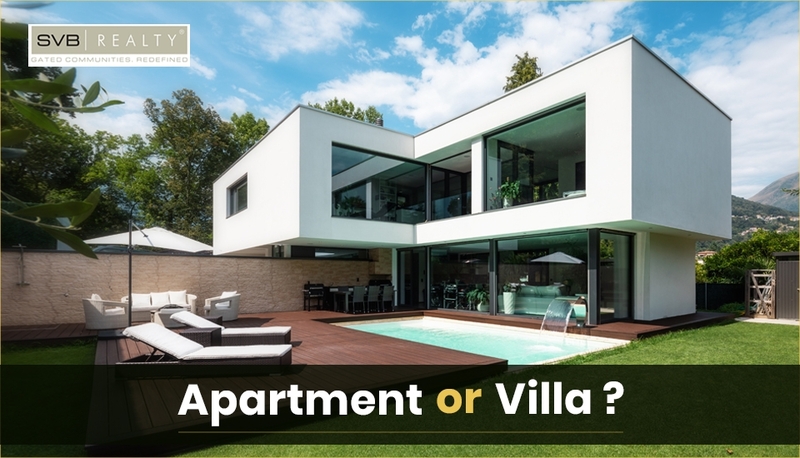 As both the villa and apartment complex have their own advantages and disadvantages, but there are some factors also to be considered such as security, community, facilities etc. 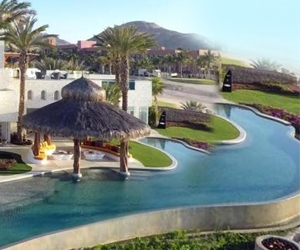 With villas, you get the offer of freedom and space to do what you like, but the apartment offers positive, in terms of better security, club facility accesses, ease of being rented out, etc. Since there is no definitive answer to the villa/apartment debate, but there are ways around to work it. 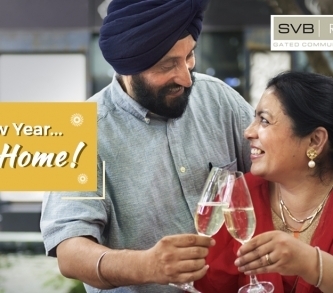 For instance, residential villa projects in Pune in a gated community can also offer the same amount of security, facilities, ease of management and an equal sense of community.